Choosing a good apartment isn’t easy for first-time homebuyers and anyone who has ever had a home-buying experience. Besides the price of the apartment and location, there are many other important factors buyers should note to not buy the wrong house. If you want to quickly choose the right apartment for sales, you can refer to some information as follows. You can refer to several experiences as follows to choose the right house for sales to buy quickly. Knowing where to buy your home helps you get better results when choosing the right home. The first thing that you need to pay attention to is determining where to buy a home. You should ask: Are the location of the apartment building really convenient for living, traveling and working? Answer the question then you know that should find the apartment for sales to buy. This problem sometimes depends on the individual’s financial potential. At present, the segment of apartments under a billion is usually located far away from the city center. However, looking to buy apartments in relative position with cheaper prices isn’t too difficult. 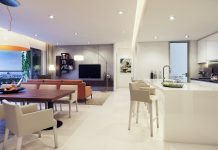 Buyers need to reconcile the three factors of location, needs and budget to choose the right apartment. At the same time, look good enough to not miss out on the right projects. You also be aware of the traffic around the apartment you are considering. Get to the roads you will move a lot and observe during peak hours whether traffic conditions here are too bad, there are many trucks, containers moving or not. Don’t forget to question your owner or broker about upcoming transportation infrastructure projects that address mobility issues. One of the first things apartment buyers should know is the name and capacity of the owner. Getting started on finding all information about investor information as well as projects that investors have done before. A well-known investor will ensure the quality of the project, its legal status and its progress. In addition, each owner has the style of planning, design and motto to develop their own products. Buyers make sure that they have a thorough understanding of these factors. In addition to investor information, you should also check more information on contractors, design units, supervisory and management units … All these steps are very simple with just a few minutes of searching. search on the Internet. 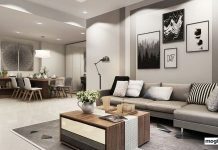 When choosing to buy an apartment, you should also pay attention to the internal and external utility around the apartment you are buying. These factors seem small and often overlooked when considering the choice of apartment with thought it’s ok with a house far or near centre city. Identify what you need to focus on in the future for your child’s education or family health center. Then find out in a radius of 1km – 5km there are shopping areas, markets, supermarkets, schools or hospitals, which is something that your family needs to use often. If you buy an apartment on the lower floors of your apartment, you will probably suffer dirt or noise disturbance, even mosquitoes. Choosing an apartment on a higher floor will cause inconvenience in traveling and the price is quite high, sometimes it is difficult to escape and visibility isn’t likely to be the best. 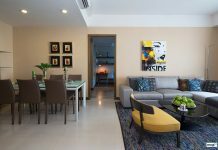 Therefore, it is recommended that you choose an apartment from floors 7 to 15. One apartment building is in many different locations. When choosing an apartment, you should choose accommodations located far from the garbage collection and the elevator area of the building if possible. This is a good way to limit odors from garbage or noise as residents move in the elevator area. In addition, you should choose the corner to take advantage of the ventilation of both sides of the building. This is one of the factors that you should consider when choosing to buy an apartment. In the case of an apartment with two bedrooms and two or more toilets, it is unquestionable that the reception of guests to your home is no longer a problem for your family. In addition, this is also a way to prevent one of two toilets broken unexpectedly. This will bring you a lot of convenient things to use. As each apartment has windows, it is likely that the air in the room will be circulated more easily, contributing to the environment of fresh, airy and full of life. 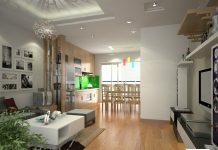 This is also a factor to The owner really thinks about the experience of the residents in his project as well as their design capabilities. 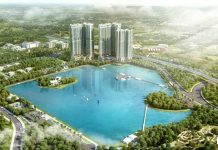 There are many apartment projects in Saigon. You can find out carefully and choose the one that suits you best. Based on the criteria above to choose the right apartment for you. You will get more convenience if you choose the right apartment with the right location and good condition, high quality. So take a moment to find out the best apartment for you to buy. 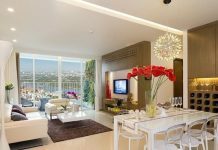 What should expat take note if buy apartment in Saigon? Why do foreigners choose living in Hanoi? Virtual office – How to rent virtual office in Saigon? 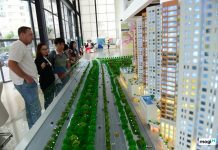 Why do foreigners choose living in Saigon? 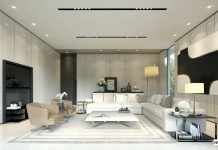 How to help expat find house in Vietnam?